The city of Mashhad has long been one of the centuries for production of famous Persian carpets. It is also one of the oldest centuries of carpet weaving. The Perez Topkapi prayer rug was woven between 1550 and 1556 most likely in Mashhad. The carpet manufacturing is extensive in Mashhad and mostly large carpets with medallions are made, which are also sold under the name Meshed. The quality changes and the wool from Khorasan is recognized by its softness. Located in Northeastern Iran, Mashhad is an important center of the carpet weaving industry. It is also considered the most holy city of Iran. This is because it holds the shrine of Imam Reza who is very dear to Muslims around the world. Mashhad carpets are usually bright and cleverly colored therefore literally giving life to any dull room. Their color schemes are usually tones of red or blue. Mashad carpets are very well made and they will last a very long time, as would any other Persian rug. The wool used in Mashhad rugs is softer than that found in most other types of Persian rugs. The colors are non varying and most use exclusively red and blue as the dominating colors with ivory or khaki used to provide interesting contrast. The background is typically deep, dark red with dark blue highlights found in the center medallion, corner pendants and border. The red background is a distinguishing characteristic of Mashad rugs. Antique Persian rugs range tremendously in style and design, a result of the long and important rug making tradition that has been part of Persian society for centuries. Almost every region of Persia has its own particular style and method for weaving fine rugs and carpets, and it can be amazing to behold this tremendous range. Among the traditional styles of Persian rugs, one of the most interesting is the Mashhad style, which is itself a Khorassan style. Mashhad itself is a holy city in the Iranian province of Khorassan, which is situated in eastern Iran. Mashhad is particularly important to practicing Muslims, as it was home the eighth Imam, who died and was buried there. Millions make the pilgrimage to Mashhad every year. Rugs and carpets produced in Mashhad in the traditional style are notable for several reasons, and are relatively easily identified based on several different characteristics. First, Mashhad rugs tend to be larger pieces. 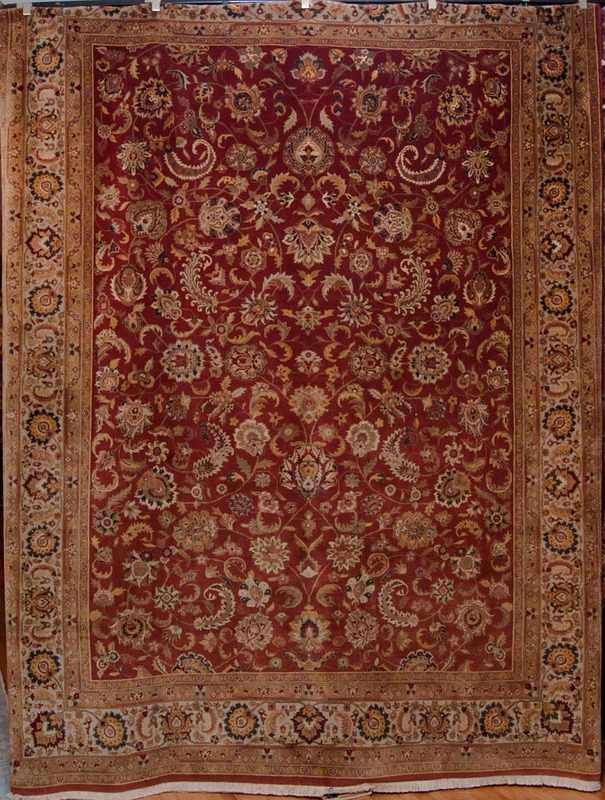 They also tend to feature a large, elaborate central medallion – a characteristic that is not unique to Mashhad rugs, but that is nevertheless important. Further, Mashhad rugs tend to possess a certain softness, especially compared to other Khorassan rugs – the quality of the wool used by the rug-makers of Mashhad is second to none. Known for their beauty and their quality, which is assuredly second to none, Meshad rugs remain very desirable in the rug world of today, centuries after they were first woven.